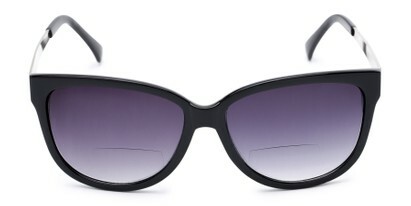 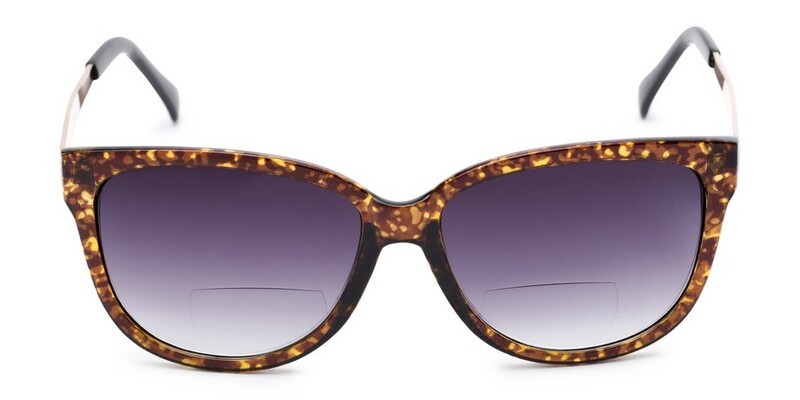 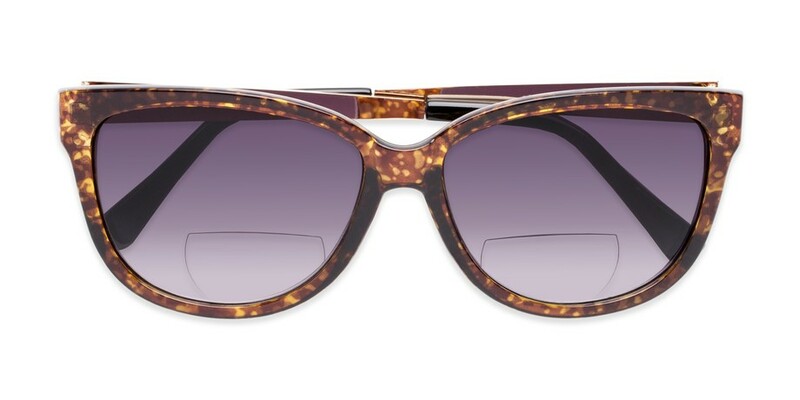 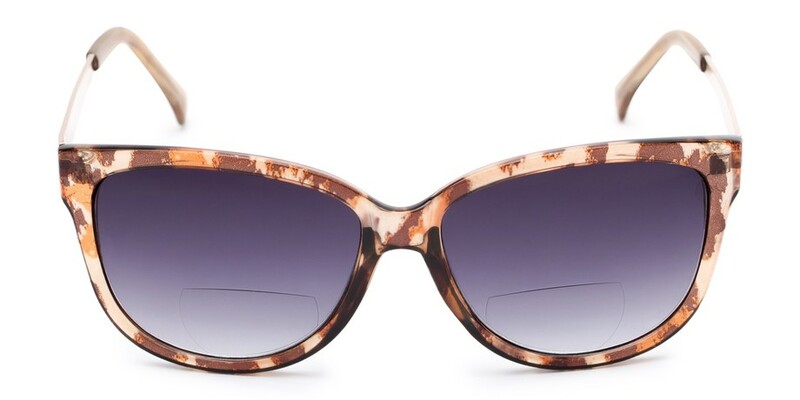 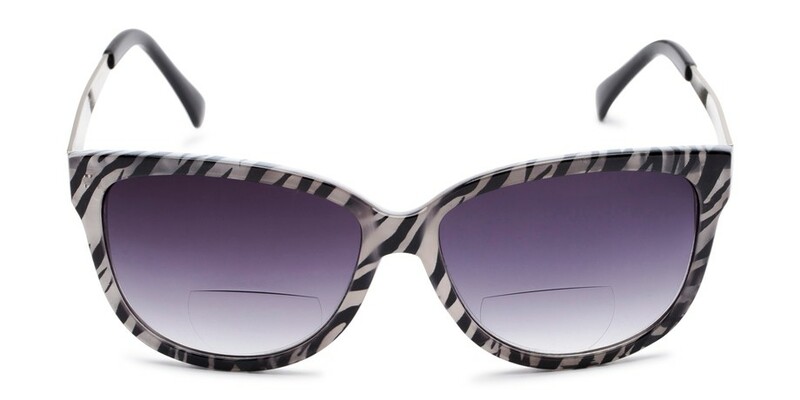 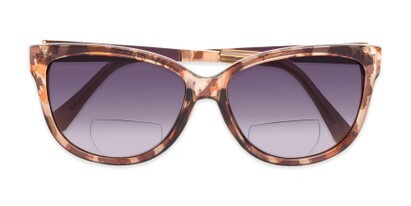 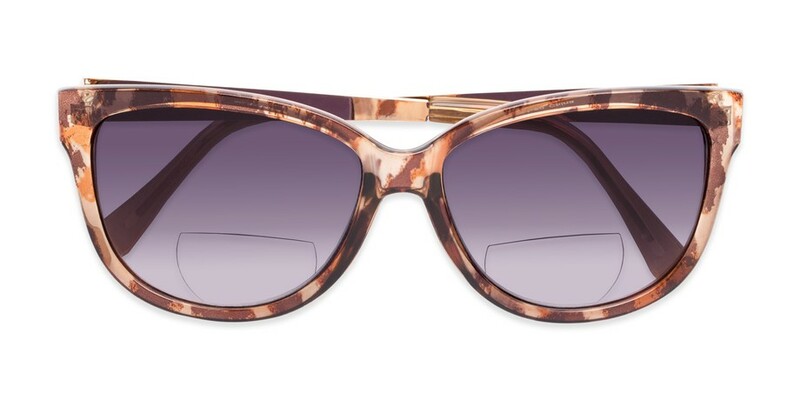 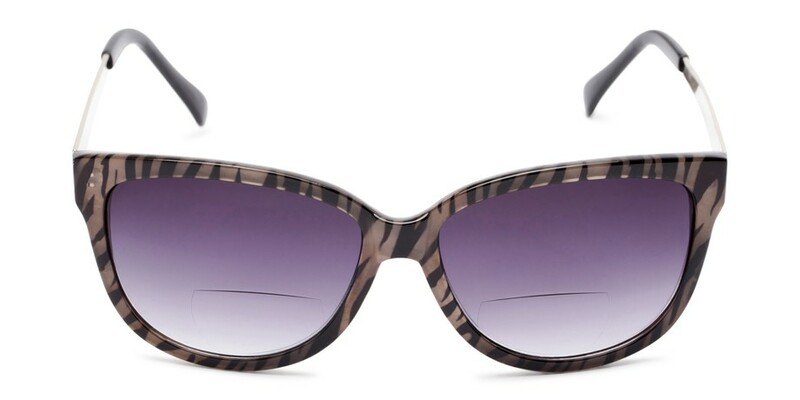 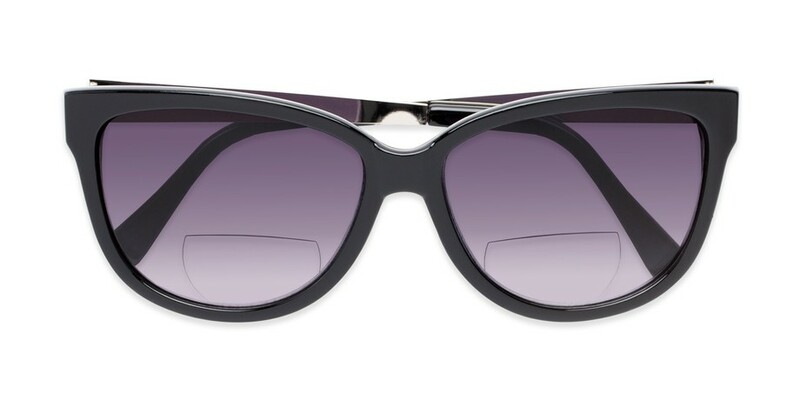 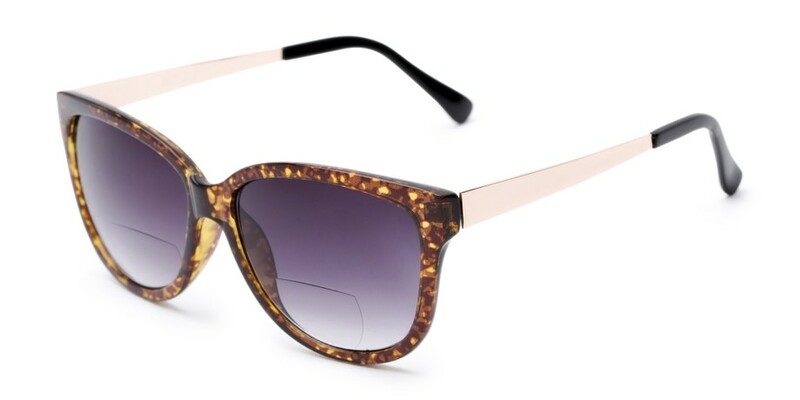 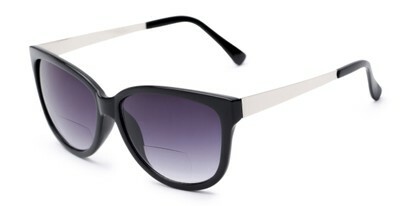 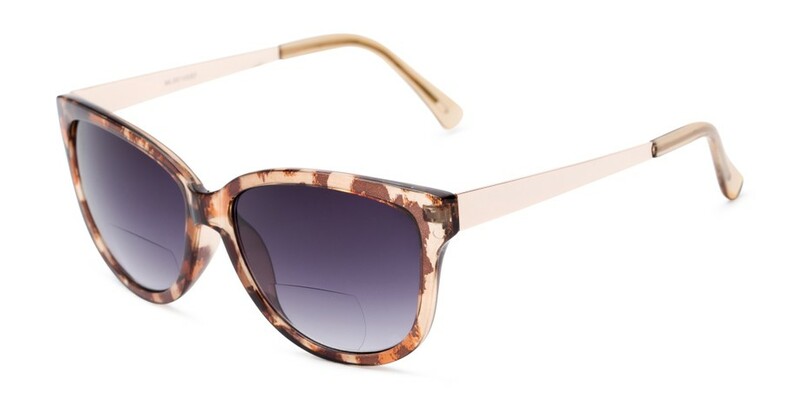 Be bold and glamorous in The Penelope Bifocal Reading Sunglasses. 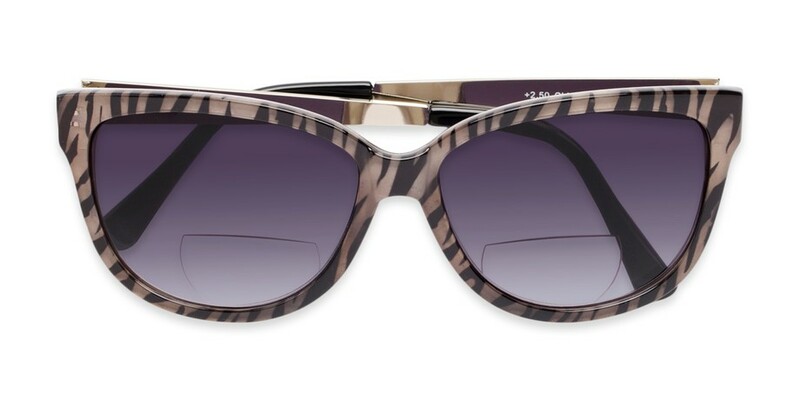 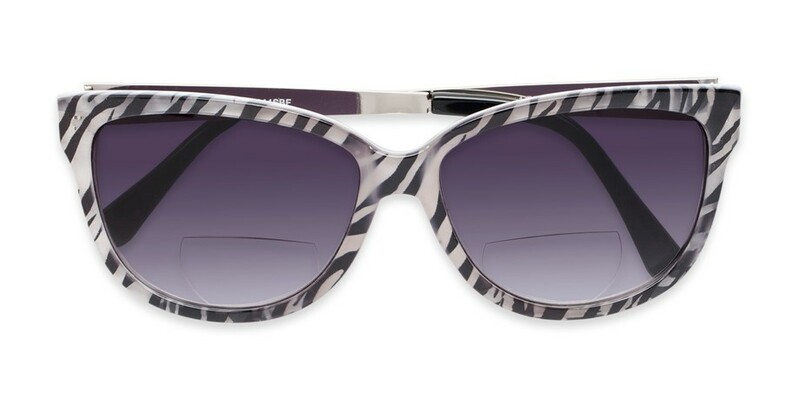 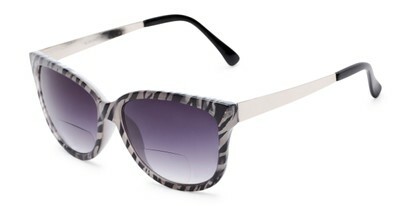 This style comes in exciting prints and features metal temples and UV sun protection. 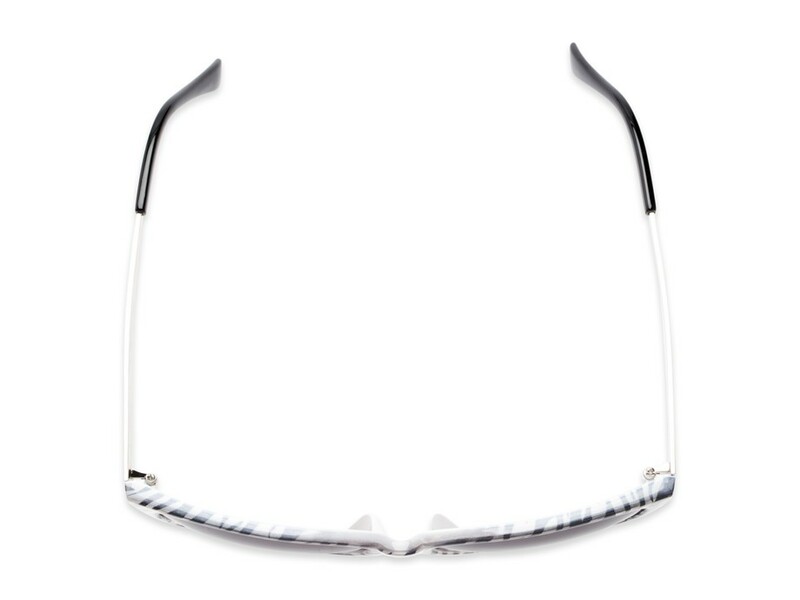 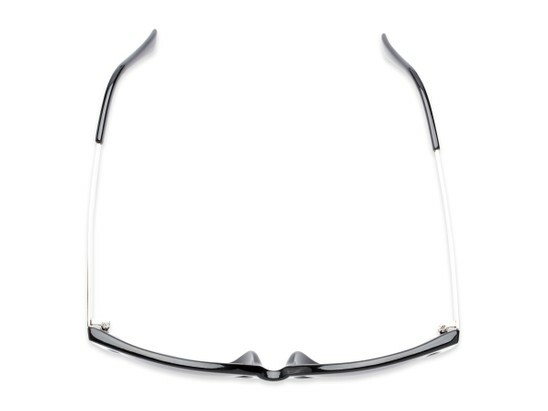 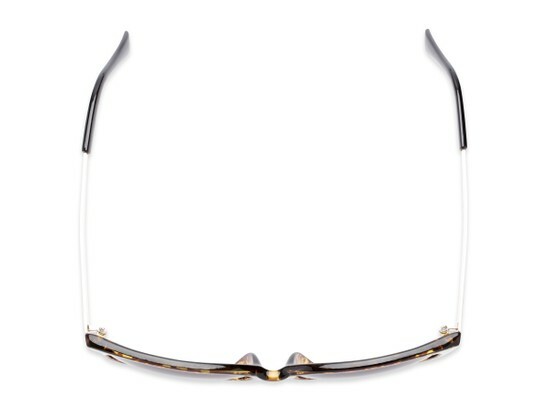 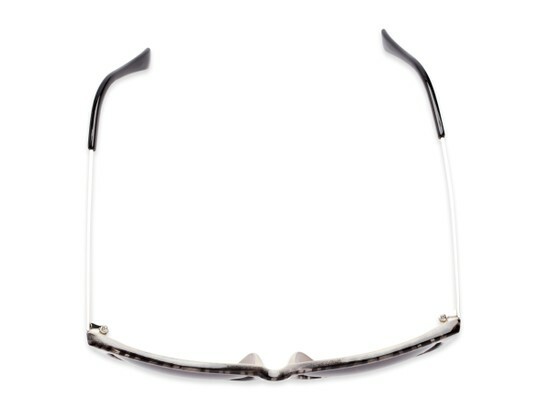 The bifocal style lens is on the inside to create a hidden look.